#205. Glacier Lake. 20 x 28, oil on canvas. "Gilbert Munger" lower left. There is a "Frost & Reed, London" label. This painting was at Vose Galleries, Boston, in 1953. 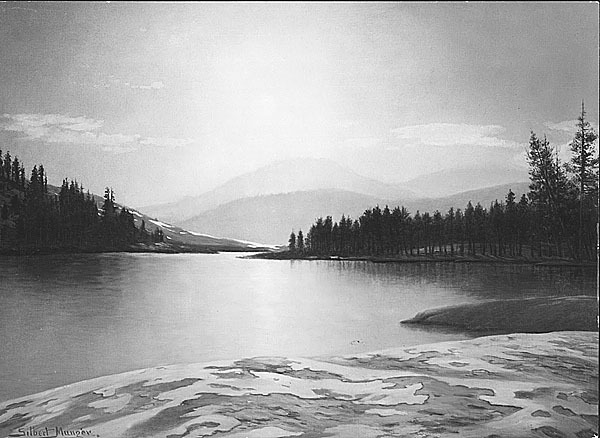 The gallery records show the title as "Green River, Wyoming" and the size as 20.5 x 38.5. 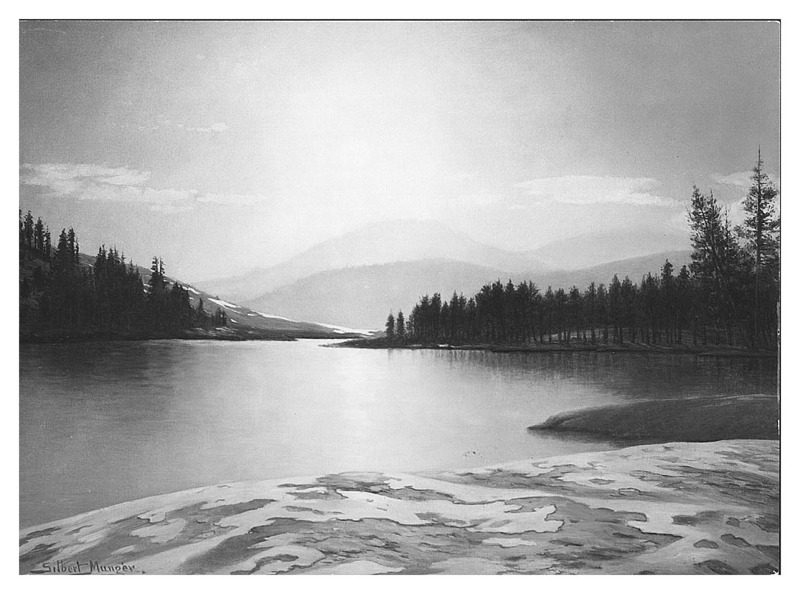 Based on substantial similarity to the scenic elements in painting #77 this painting is assigned the same California location, likely Glacier Lake in Kings Canyon National Park. That painting is looking east at the head of the lake, this painting is looking west from the same spot to the lake's outlet. The size is recorded as 20 x 28 because that matches the aspect ration of the photo and also matches many other painting of this style. Image from Vose Galleries photo.